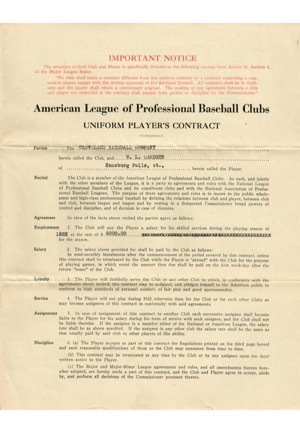 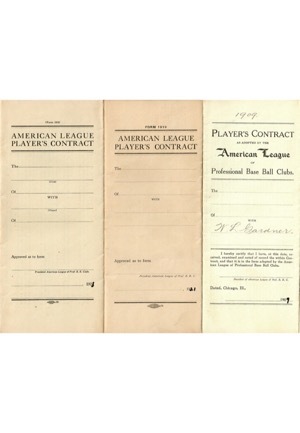 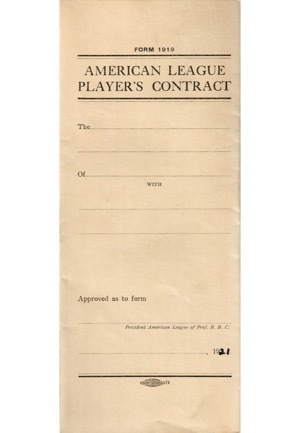 Three American League professional player contracts from 1909, 1921 and 1923. 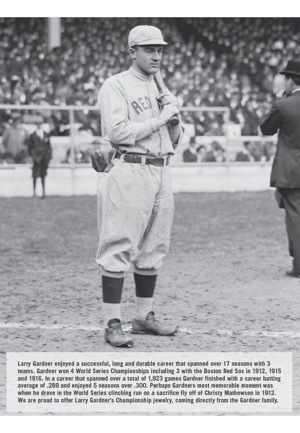 The 1909 contract states Gardner will make $1,800, the 1921 contract says Gardner will make $5,500 and an additional sum at the rate of $500 per season and the 1923 contract states that Gardner will be paid $6,000 for the season. 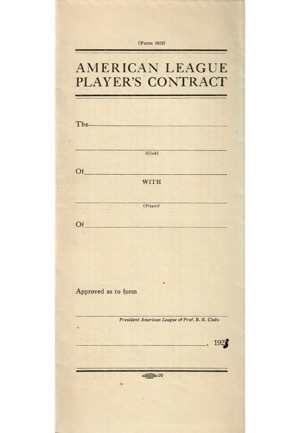 Gardner has signed in the appropriate areas and in our opinion the signatures rate an 8. 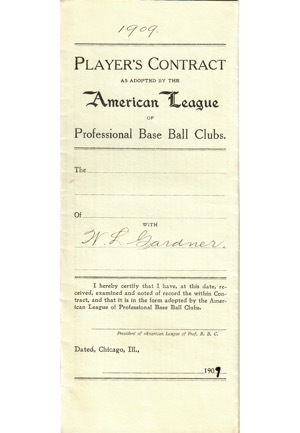 The 1923 contract is also signed by Ernest Barnard above Gardner. 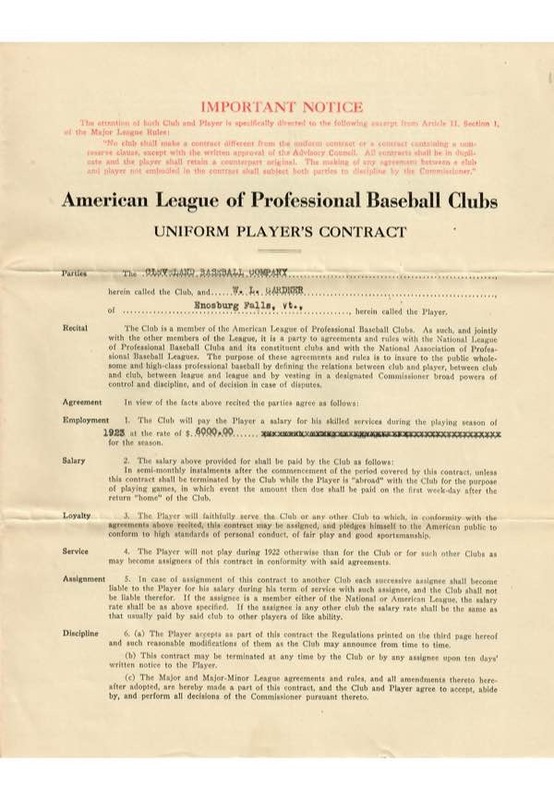 Accompanied by a LOA from JSA and a Gardner family LOA.